Subscription boxes are all the rage this year, but with hundred or even THOUSANDS of choices – you might feel a bit overwhelmed. I have spent hours combing through subscription box choices and have narrowed it down to my five favorites for families. First up, lets start with Mom! 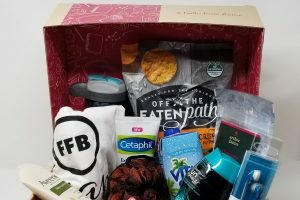 FabFitFun is one of the most popular boxes on the market for women. It is a customizable box that comes every quarter filled with products that focus on beauty, fashion, fitness, home and tech. You also get access to the FabFitFun community with this subscription, which is really fun and includes exclusive sales, FabFitFunTV and more. What I love about this box: Every Mom is in need of pampering, and this one gives you the latest products without the time and effort. AND it comes with high-end FULL SIZE products. Most boxes only come with samples and I am often left wanting more. 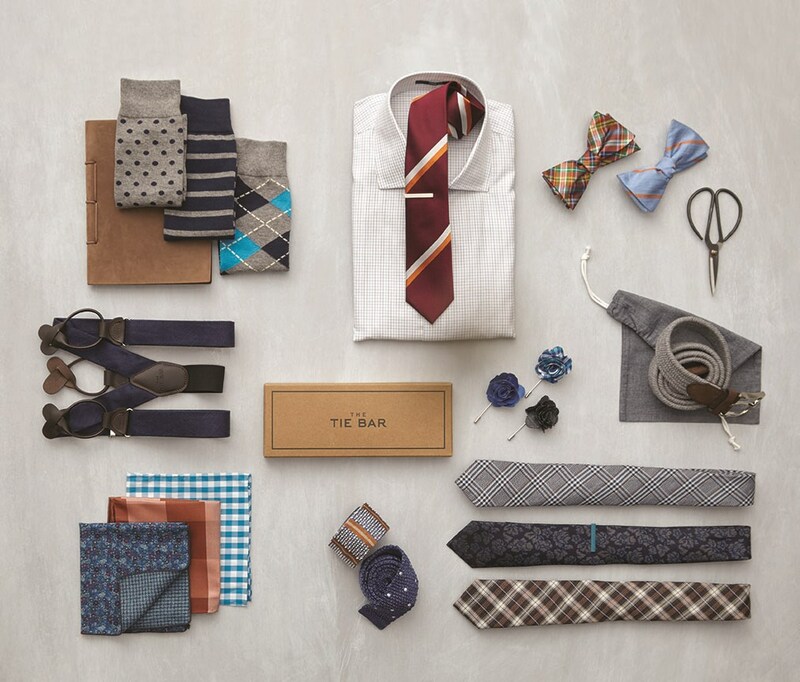 Founded on the idea that a luxury tie shouldn’t cost a fortune. If your husband is anything like mine, getting men to shop can prove difficult! 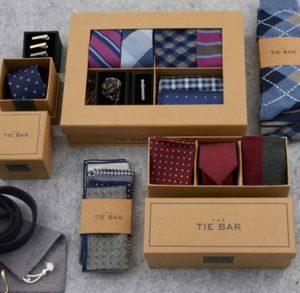 Luxury brand the Tie Bar offers a subscription box that helps your man update their wardrobe without any fuss. You can customize the box to arrive as often as you’d like, to include skinny, wide or bow ties. AND they can even throw in new socks. Hallelujah for fresh socks. They’ve been featured by dozens of celebrities and luxury male brands like GQ and more. What I love about this box: I think it solves a lot of problems for the working man and their product really lives up to the hype. High quality, great price and fantastic accessories for men. This box brings back all the feelings of getting a care package at college from family. I love the concept of sending something regularly to your college kid without a lot of effort. Curated for students living in dorms or apartments, each box comes with various things to help them transition to life as a student and adult – something to eat, wear, and care for yourself. They also send a life tip! For example, one box contains helpful laundry items as well as a card with tips to do laundry. Of course they also have chargers and treats, because every Mom loves to send treats. What I Love about this box: It is a foolproof way for busy parents to let their college kid know they are thinking of them. 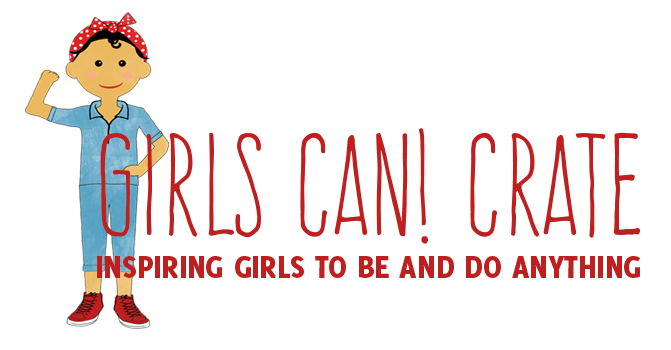 They have various packages including care packages, birthday packages, and even a summer fun box. This is a box for every kid in your family – even your teenagers. 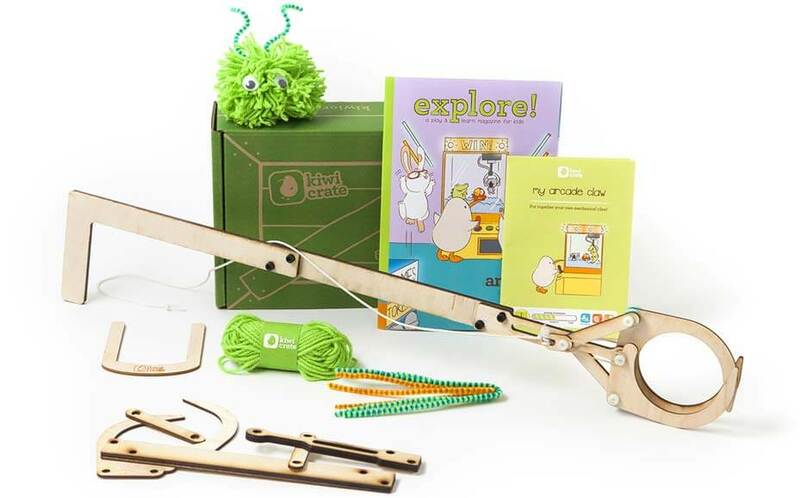 It comes with hands on learning projects geared directly to your child’s age and interests. I especially love their focus on science and technology, which is something we are always trying to do more of in our home. My kids went crazy over this box and can hardly wait for next months box!! What I love about this box: It is a great learning tool that doesn’t require hours of prep time for me! AND, it ships in two days – for grandparents or parents its a really meaningful last minute gift. Website: kiwico.com/charlotte for 50% off your first box! When I saw this box, I knew I had to include it. 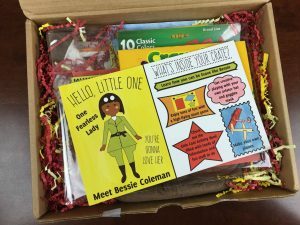 Created by female educators, this box helps teach girls ages 5-10 years old about women who have changed the world. The hope is that as girls get to know these fearless women they will have the courage to do big things. 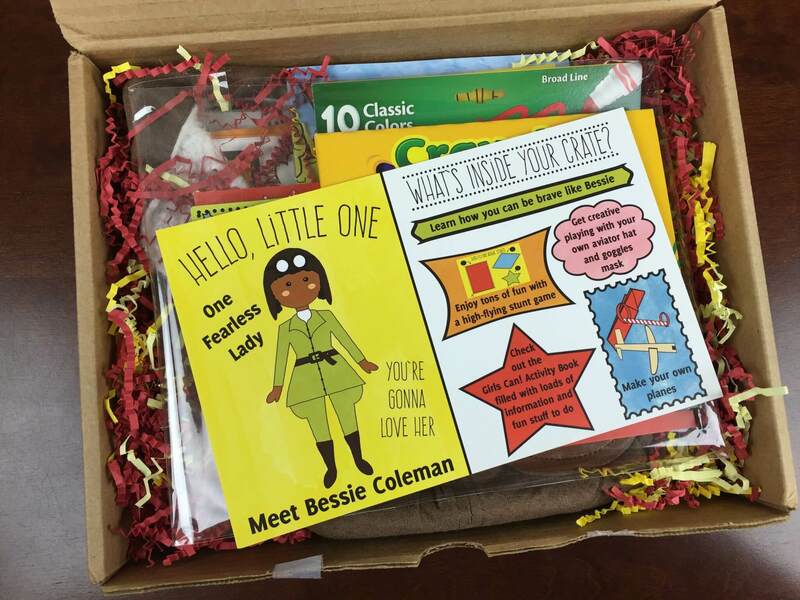 Each box includes an activity book with the story of the leading lady and 2-3 hands on activities. 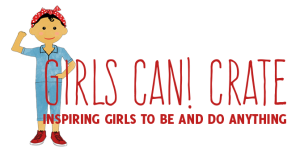 It breaks down stereotypes and teaches girls about courageous women they may not learn about in school. I absolutely love the idea of this box and everything that comes with it. What I love about this box: GIRL POWER! Need I say more? It teaches through play and is very unique!